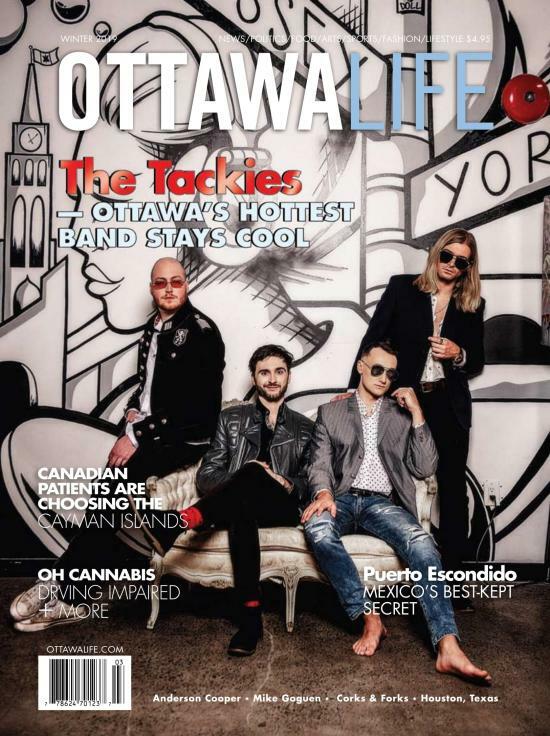 Walking into the recently revitalized Ottawa Art Gallery at 10 Daly Ave, you can’t help but notice the light, airy, and open space dedicated to in-house restaurant & cafe Jackson, the dazzling result of co-creators Caroline Gosselin and Chef John Leung’s passion, creativity and hard work. Thanks to Sascha Lafleur and her team at West of Main, the aesthetic of the space is all sleek lines and natural tones, intermittently decorated with the natural beauty of rose and quartz crystals, the midday sunlight streaming through large, floor-to-ceiling windows. With health and wellness at the forefront of their minds, Gosselin and Leung are taking a fresh and playful approach to food, and providing an ever changing menu that is locally sourced yet globally artistic. With the goal of inspiring a cultural shift towards primarily plant based lifestyles, dishes are non GMO, sustainable, artisanal, and organic whenever possible. They also claim to offer high vibrational foods that embrace the balance between beauty, wisdom, and love, and are passionate about offering the freshest local ingredients. 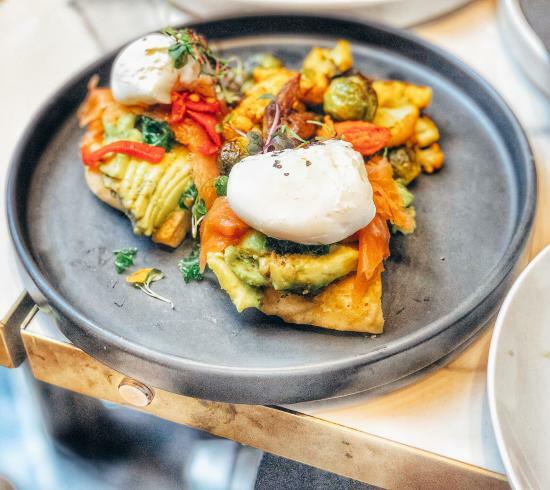 Starting off serving only coffee and snacks, they soon became a full-service restaurant, with the yummiest bites at all hours of the day, including the late morning that is oh-so-coveted to any and every millennial because…brunch. If you’re opting for a boozy beginning, start it off with a signature cocktail (which are named after and inspired by actual works of art in the OAG) like a Bee Harmonics. Incorporating true cocktail artistry, they combine brandy, china china, lemon, honey, and egg white for a creamy, foamy texture. And since they put such a huge focus on plant based choices, there are always options for vegan, vegetarian, and gluten-free diets including a botanical based alternative to that egg white. They also love making mocktails for those who want the taste without the booze – simply communicate your preference, whether sweet, sour, or salty, and they’ll whip something up exactly to your liking. For a true taste of everything they have to offer, your best bet is to indulge on the only sharable item available off the small but impressive menu. The brunch for two ($55) gives you a little bit of everything - hot, cold, sweet, and savoury. The brunch bowl with green tea noodles, sesame crusted tuna, avocado, and turmeric pickled onions is light and unpretentious, the Jackson classic (focaccia generously topped with smoked salmon, poached eggs, kale, piquillo pepper, and avocado, with a side of roasted vegetables) is prettily plated and a perfect balance of savoury flavors, and the ricotta hotcakes with candied pecan, banana, and maple whip butter, is satisfying to any sweet tooth. While the smoothie bowl seems a bit overpriced at $17 for your own full serving, the food comes quickly and the staff is ever attentive to all of your needs. 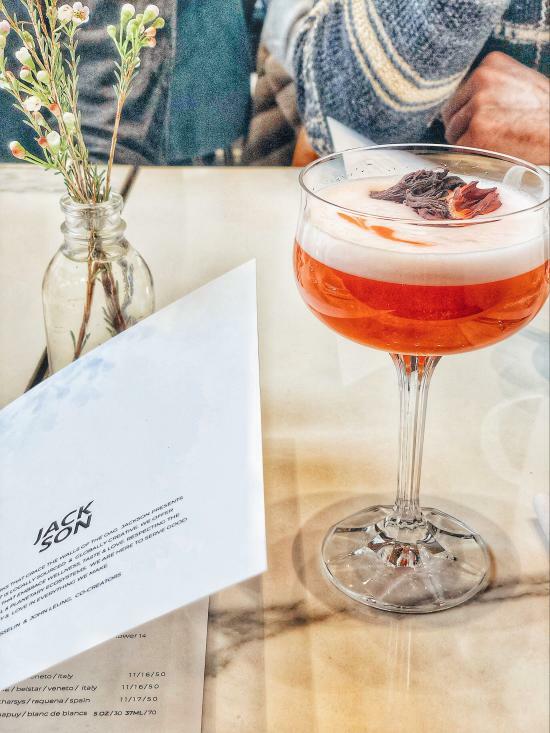 Open daily for snacks and cocktails, weekdays for lunch, Monday through Saturday for dinner, and on weekends for brunch, Jackson is the epitome of understated elegance in the heart of the city, and offers a full cultural experience like no other. With an aesthetic that is unprecedented, food that fulfills every craving, and art that is there to inspire and move you, this a spot you’ll want to check out no matter what you’re in the mood for. Corks & Forks, Kingston's International Wine Festival, is the first-of-its-kind weekend-long event for a curious novice, a wine enthusiast or an avid collector. Recently popping up on Sparks Street, this modern studio promises to make meditation less intimidating and free of judgement, while providing all those cozy at home feels. Bone Broth is often referred to as liquid gold, so before you potentially gag and stop reading, here are four reasons why you’ll jump on this trend immediately.